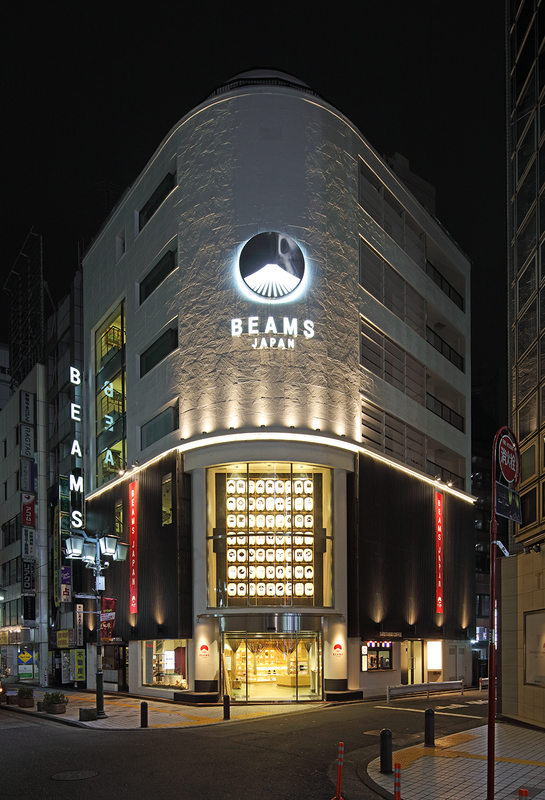 We were charged with the design of BEAMS JAPAN exterior, first floor, and BEAMS F on the 6th and 7th floors. We aimed for a façade expressing wa—an intrinsically Japanese concept of harmony—incorporating artistic and impactful characteristics. This was achieved in part by employing traditional Japanese motifs such as red banners and lanterns, evocative of Kabukiza theatres, silentious shrines and mountaintop temples. The lanterns, with graphic icons for each prefecture, shine playfully and delightfully, with the lower outer wall featuring a wood and aluminium—traditional and modern—louver that provides a fittingly black background. 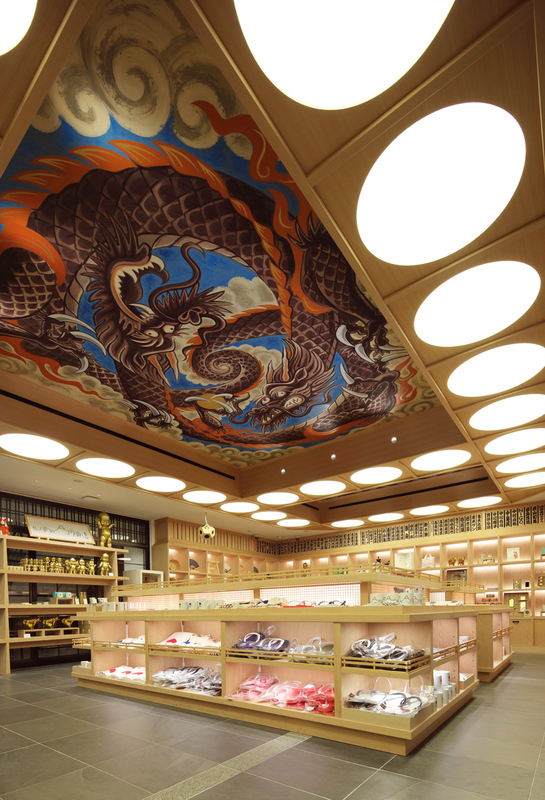 On the ground floor, we give substance to motifs such as old playhouses and again shrines and temples. 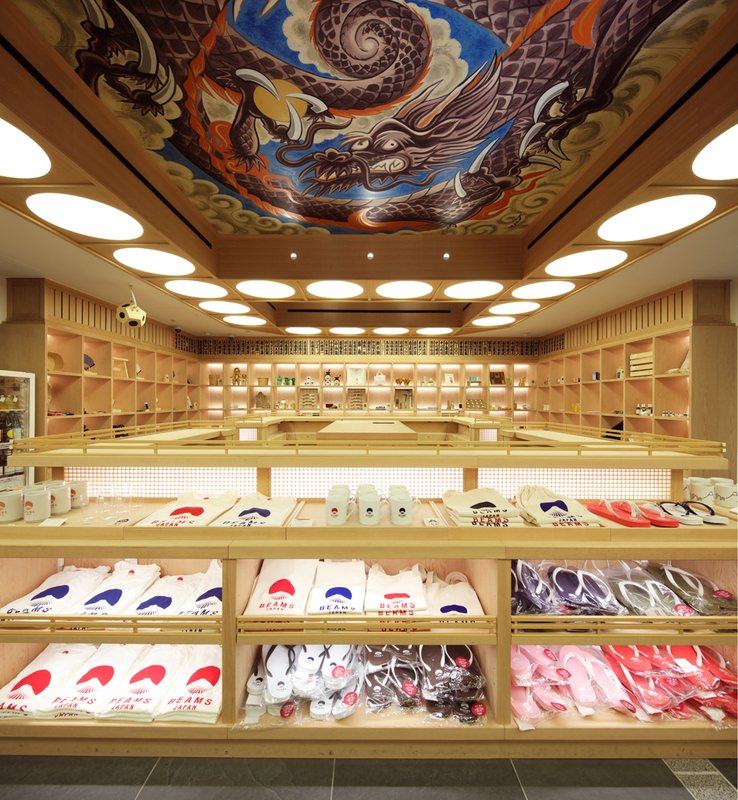 On the ceiling, surrounded by a circular light curtain inspired by the ceiling advertisements of playhouses, we arranged Mr. Kazze Miida's artwork. This produces a dynamic impression upon entering the store. 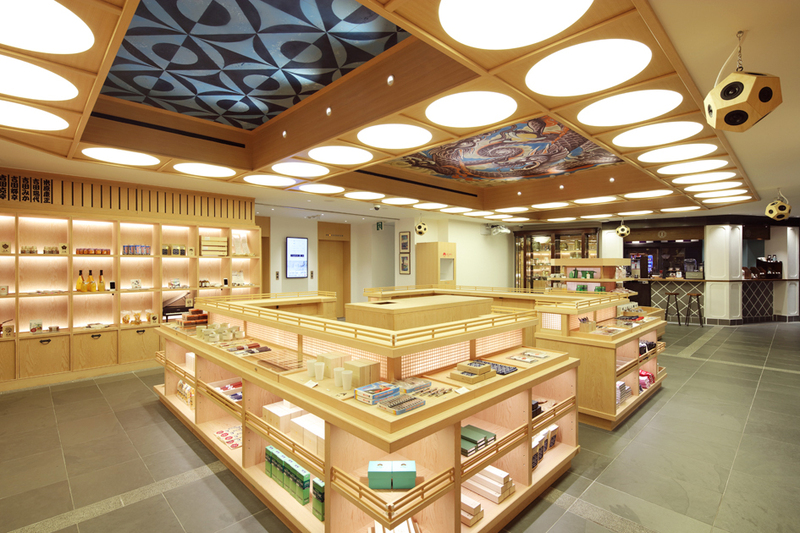 The main area accommodates customer services and consists of face-to-face island counters as well as grid-like wall fixtures exhibiting daily items of each prefecture. 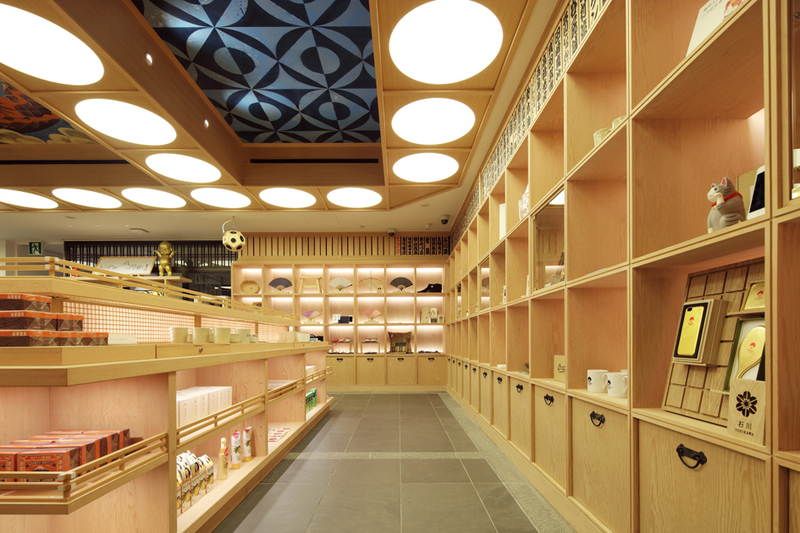 Our lighting plan illuminates each and every space in the grid, providing focus to the goods on display. Finally, cleverly and delightfully, the island furniture for pop-up events illustrates the shape of Mt. Fuji which is also the store logo.